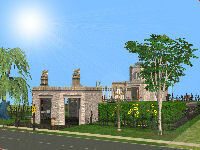 Mansion and Garden Stuff is the 8th and final pack for the Sims 2 series. This pack seems to have a bit more than the other ones had, with new interactions and architectural items. 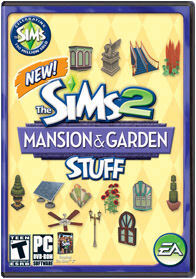 Unlike most of the Stuff Packs, Mansion and Gardenâ€™s is another one where you will use the disc to play the game. Several SPâ€™s were loaded into your PC and then you removed the disc and returned it to the box, never to be used again. 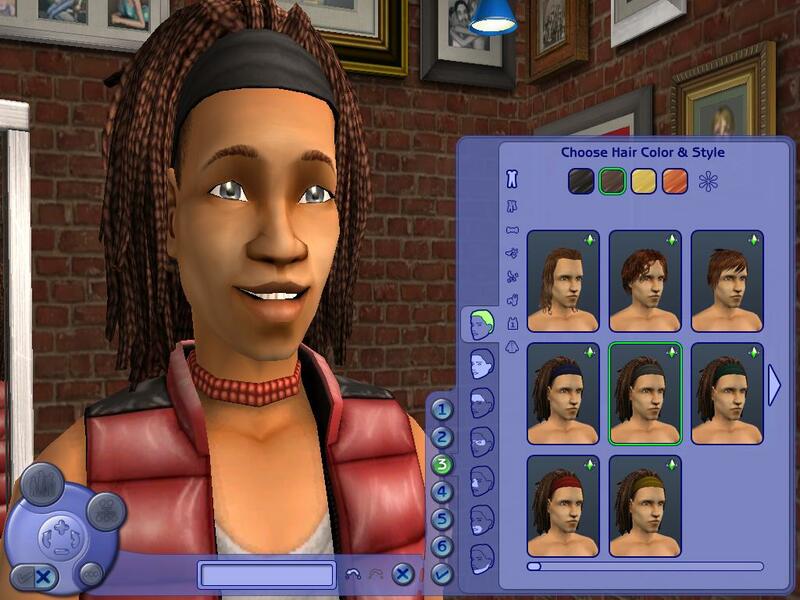 There are new styles for both male and female Sims. These styles start with the children and continue through the elderly. There are 8 new styles to chose from, ranging from short styles to longer styles with a braided style being the main focus. I like the braided style as it is a fun hairstyle that looks good with all skin tones. There are 13 new styles for the females. There are 3 basic styles, 5 colored hats and the braded style like the males have. My favorite hairstyle for the females would be the long hair with the bangs as it is most like my own style. This stuff pack offers new interactions for your Sims. The first interaction in the bin is Smell Flowers. This is where your Sim can get down to the ground with nature and enjoy the sweet smell of the flowers. The second interaction is Slide Down Stairs. This is an action for children only. 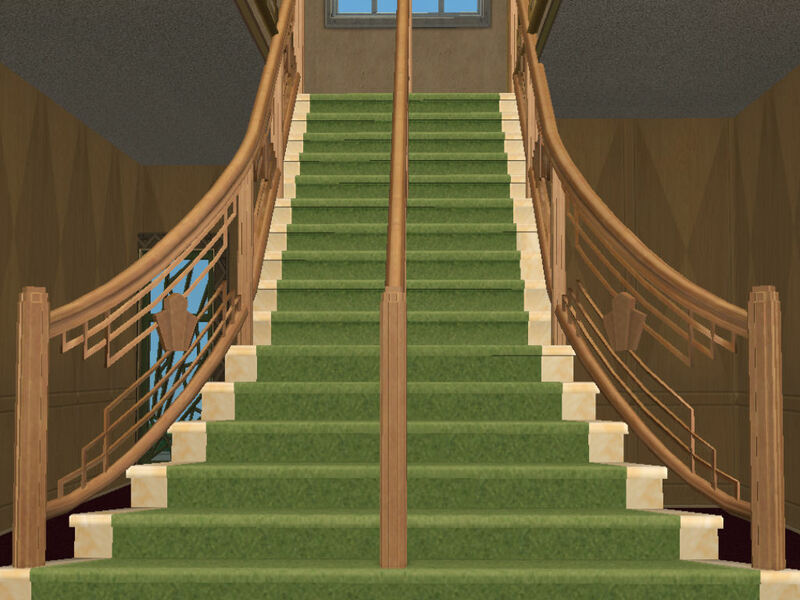 It lets them slide down the banister of the new Grand Staircases that come in this pack. Letâ€™s take a look at the new lots that come with the new pack. There are 3 new Residential Homes and 1 new Community Lot. 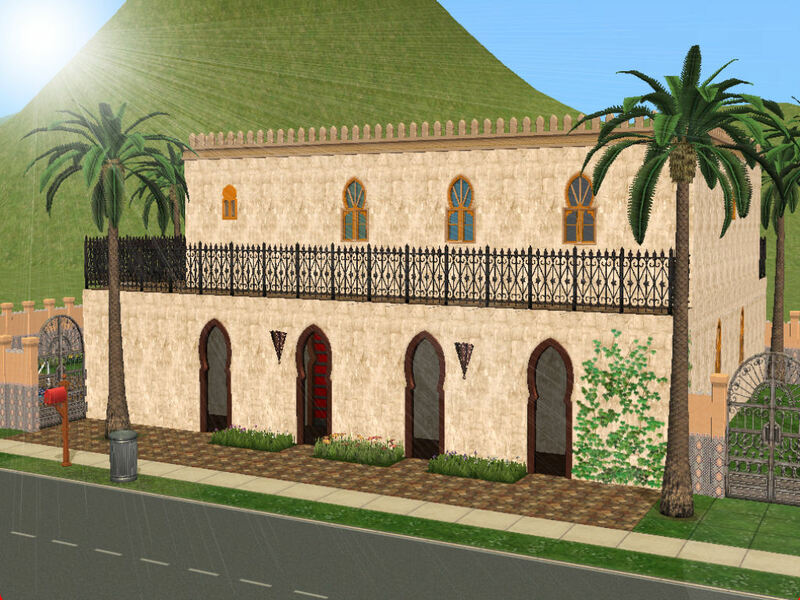 This is a Moroccan style home with a quaint sitting area surrounded by an open archway. This home also has a grand staircase along with a few new ceiling fans. The modest yard has some of the new flower arrangements. This large home has a pool in the fenced in yard as well. 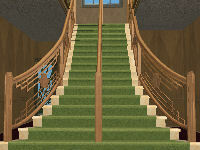 This is a semi-furnished dwelling with a grand staircase in the entranceway. 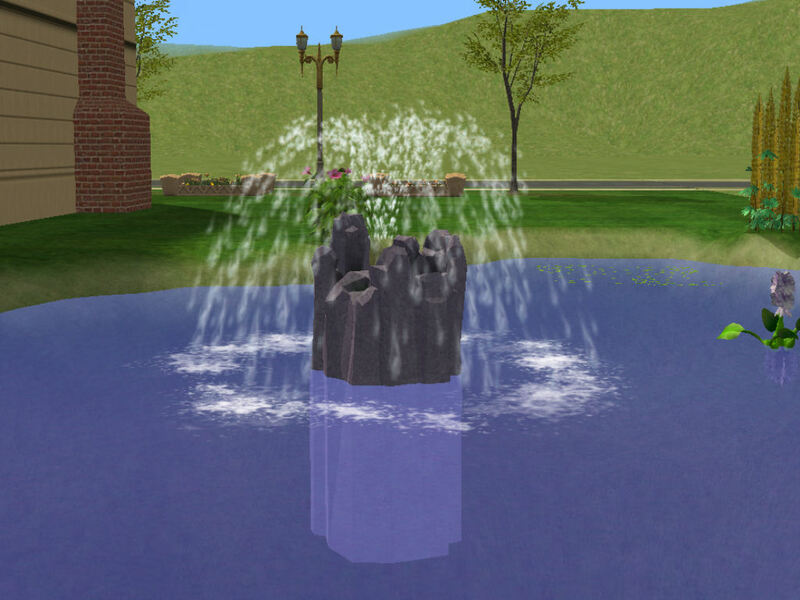 There is a small pond out back with an epic fountain in it. It boasts a modest yard with plenty of room for improvement. 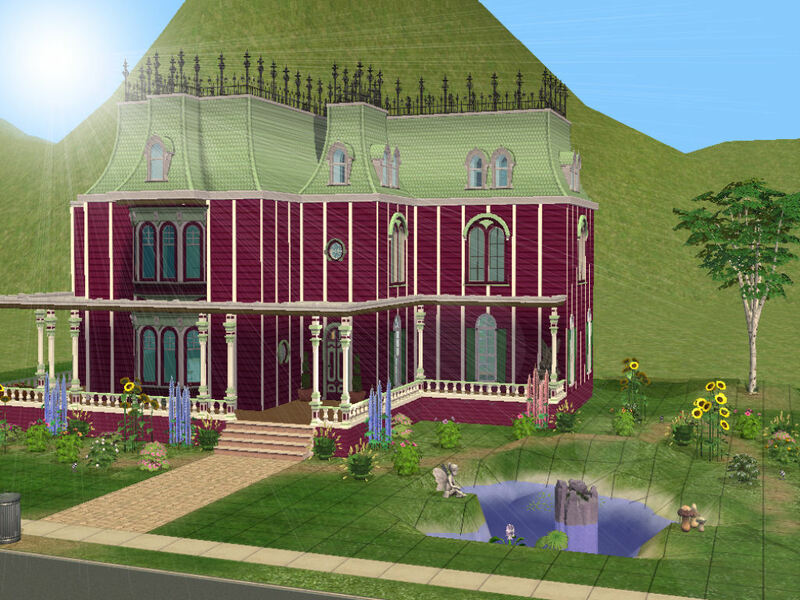 This is perhaps my favorite of the new homes that came with the pack. It has a country feel with plenty of room. Some of the amenities include garden flowers, a cute statue, and a breakfast nook with a new bay window for the kitchen. A community lot that offers barbeque areas, a lounge with a fireplace, a chess room with 2 chess tables, and a hedge maze for your Sims to explore and get lost in. A really nice feature that has shown up in this pack is the â€œClimbing Ivyâ€�. It looks great on the homes and community buildings adding a touch of greenery. 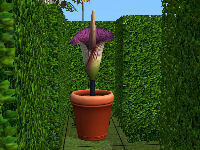 There is also a large assortment of new indoor and outdoor plants, both large and small. Several water plants have made it into this pack. 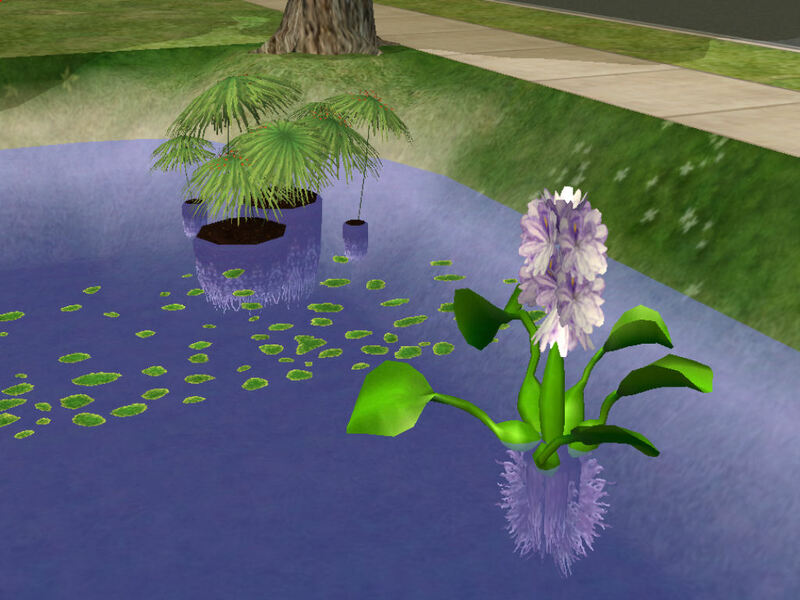 Now your lake or pond can have the new additions of Algae, Hyacinths, and Water Umbrellas. Looking at the different kinds of flowers and shrubs, it is nice to see so many varieties. 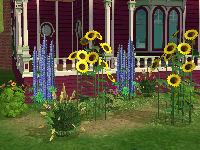 There are 4 new flowers: Marigolds, Irisâ€™, Gerberas, and Dayliliesâ€™; and 4 new shrubs: Sunflowers, Hibiscus, Lupinesâ€™, and the Fountain of Grass. Gardens will now be bursting with color! 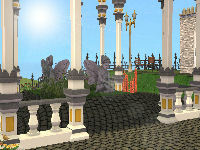 The architecture area is the biggest part in the new stuff pack, with new additions such as Grand Staircases, Fences, Terrain, Roofs, and more. 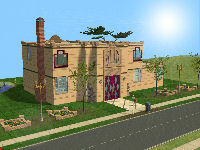 Choose from three new architectural themes to re-imagine and re-make the exteriors of your Sims' estates. 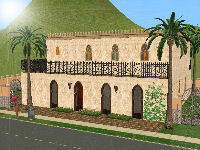 Moroccan-Transform your Sims' homes into imposing Moroccan palaces with lush gardens. Art Deco -Build luxury estates that are classic yet bold with this glamorous "Old Hollywood" style. 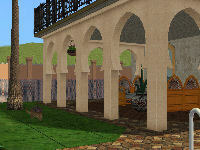 Second Empire -Create grand manors and sculpted landscapes with this romantic and elegant theme. 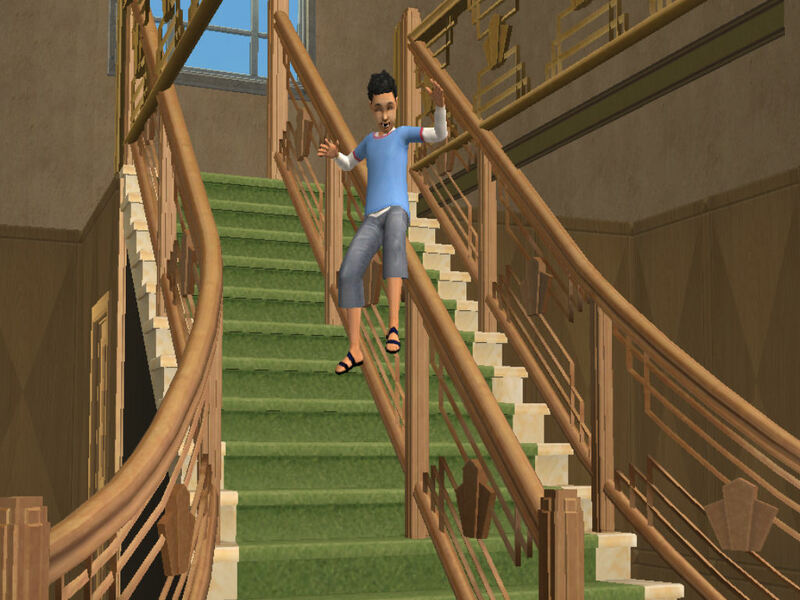 With the appearance of spiral staircases in Apartment Life, Sim homes were still missing a more elegant staircase. Well, no more! The Grand staircase has finally made an appearance! Simmers everywhere will rejoice! Flower boxes and fences have come together! 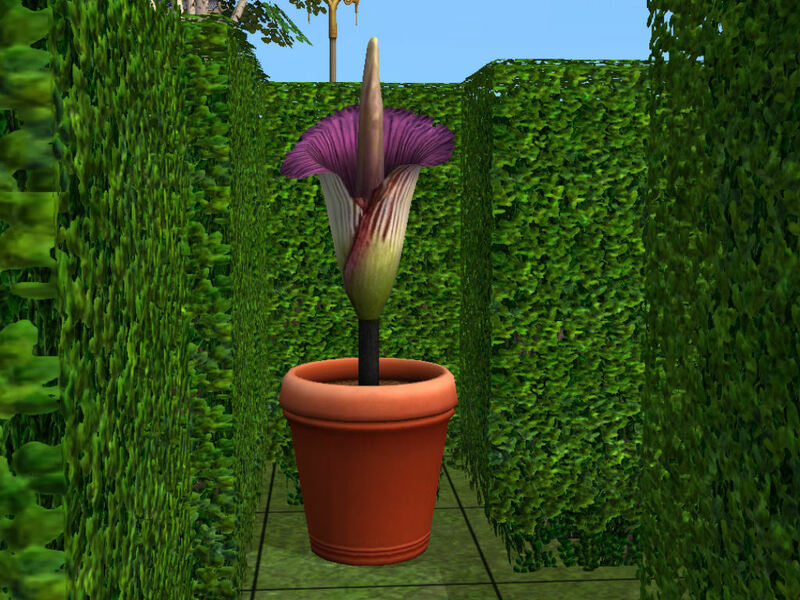 Now you can add a fencing-floral touch to your Sims homes or lots. This is a nice addition, one that I am thrilled with. The look of mowed grass can now be yours. Why make your Sims get out and mow in the summer heat when you can just add â€œready mowedâ€� terrains. Some new roof colors/patterns have made an appearance in this pack. These are a welcome addition to a growing selection. No more boring half-walls! Now Sims interiors can be decorated using these new walls with or without floral arrangements on them. There are several new designs to choose from. Builders around the globe should love this new feature! The Roof angle chooser. This will make designing a new building much easier without having too use any cheats to get the perfect roof. The new icon says it all....New architectural features. This includes almost everything for adding that special touch to make your building perfect. There is something for everyone in this section. Well, this is it. 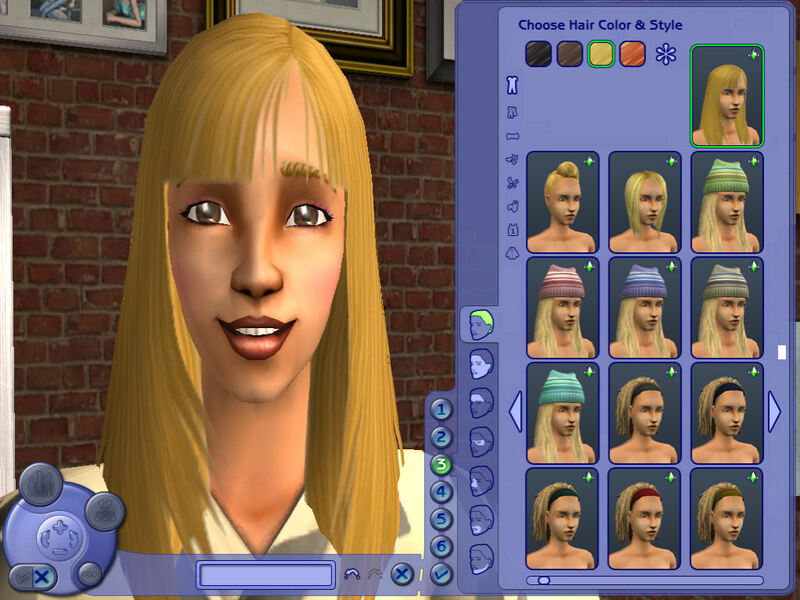 The last stuff pack for The Sims 2. I found this pack to be among the best and I might actually classify it as my favorite. At the very least, I believe it is a must have for the complete Sims library. Although I would have like to see some new trees, overall I felt that this was a job well done. Written at 01:56 on Wednesday 3 December 2008 by MissWendy.